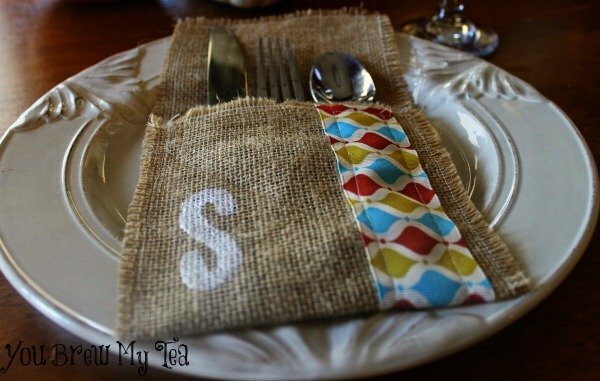 If you want to do something a little different to dress up your table, especially for a special meal like Thanksgiving dinner this simple Monogram Burlap Flatware Pocket is the perfect touch of color and texture. 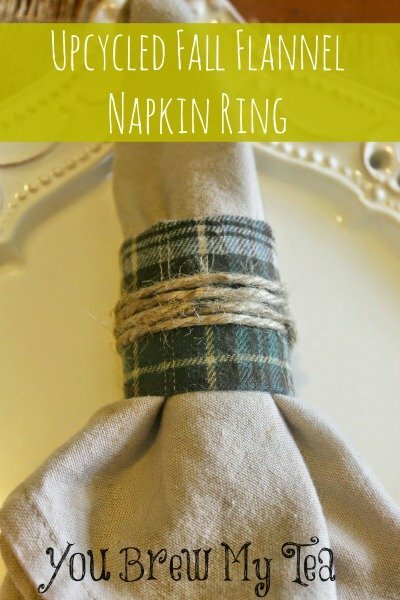 Place a burlap pocket on each plate to give some simple style to each setting and make any meal feel like an occasion with just a little effort on your part. Let the kids help you stamp the monogram on to make it a family craft. 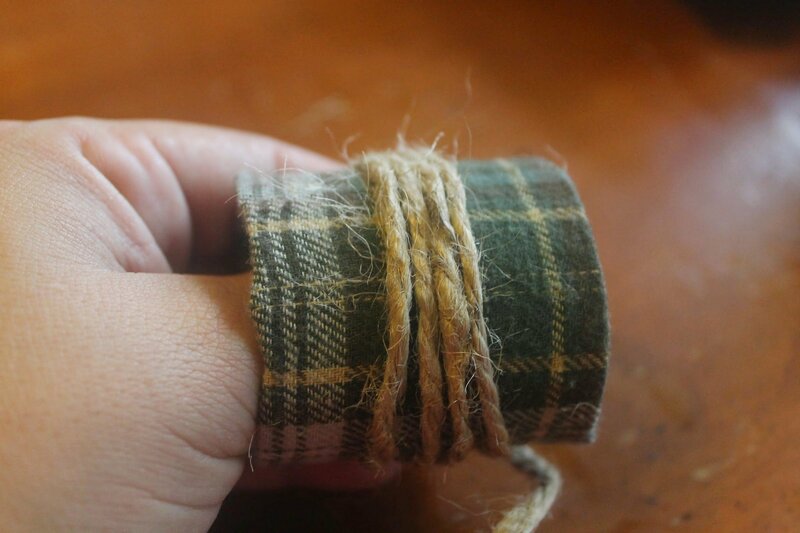 If you don’t feel up to sewing you could probably create the pocket using hot glue but your burlap will continue to fray without some sort of fray glue like this. 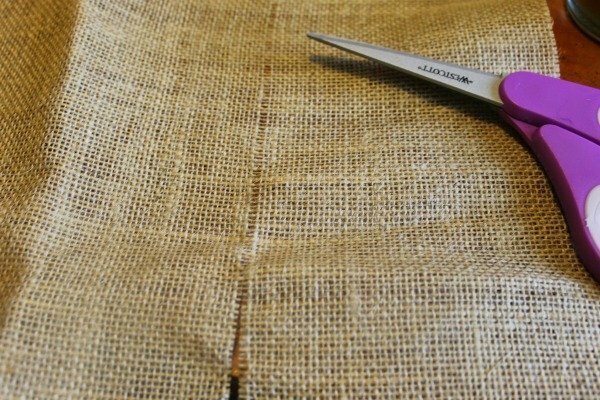 Cut a piece of burlap to 15″ x 5 1/2″- To make is easy to cut a very straight line on your burlap pull a thread from right where your measurement is, this creates a perfect line for you to cut on. 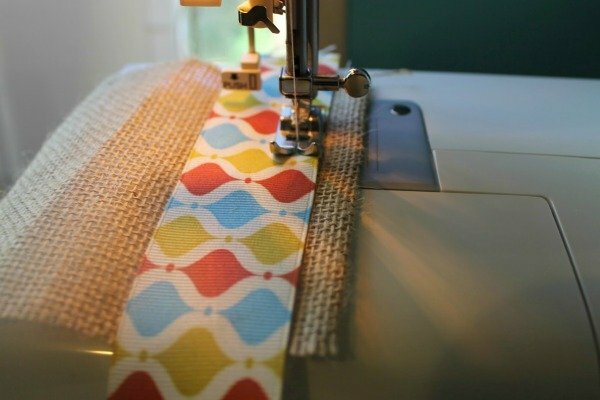 Sew between a 1/8 “- 1/4″ seam all the way around the perimeter of your rectangle. 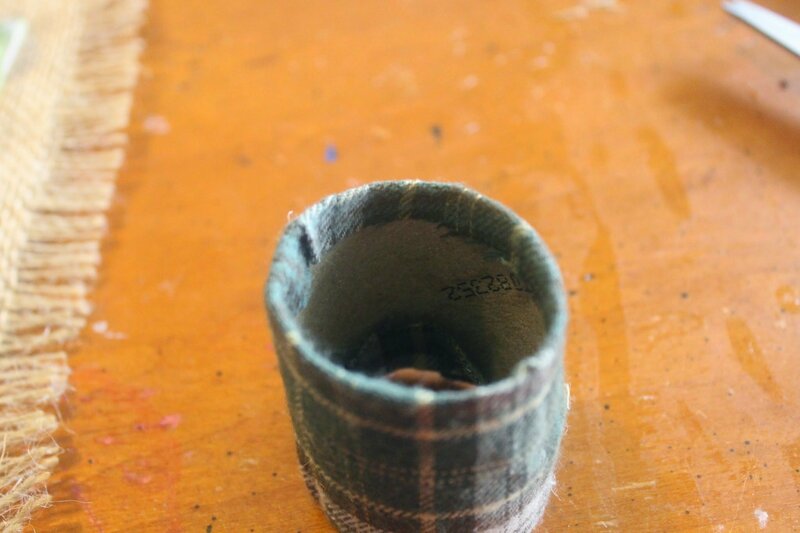 Pull threads on the outside of your seam to slightly fray the pocket, the seam will stop it from fraying further. Cut ribbon to 15″ sew ribbon to burlap 1/2″ from edge, sew up 1/8” from edge of ribbon on both sides so that it lays nicer. 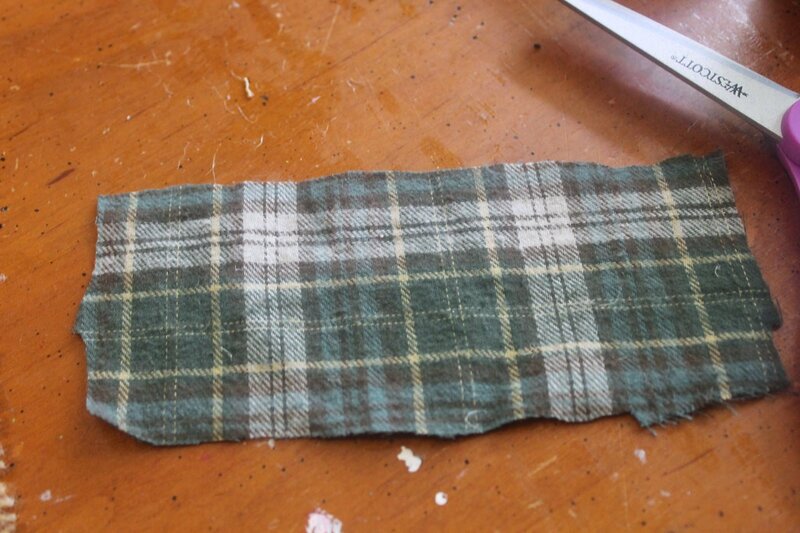 Fold burlap so that it forms a pocket that is 5″ tall, then sew up sides, going over your original seam. Dip or spread paint on a foam stamp and press into corner opposite of your ribbon, press firmly, remove. Allow your pocket to dry completely before use. 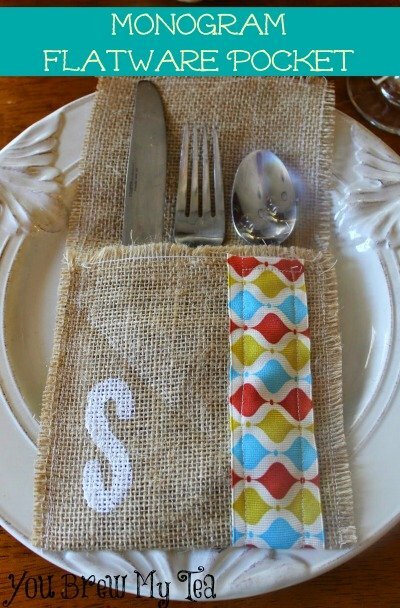 This Monogram Burlap Flatware Pocket is a great fun craft to make just in time for holiday dinner parties. Not only is this perfect for Thanksgiving dinner, it can be designed to be functional year round. 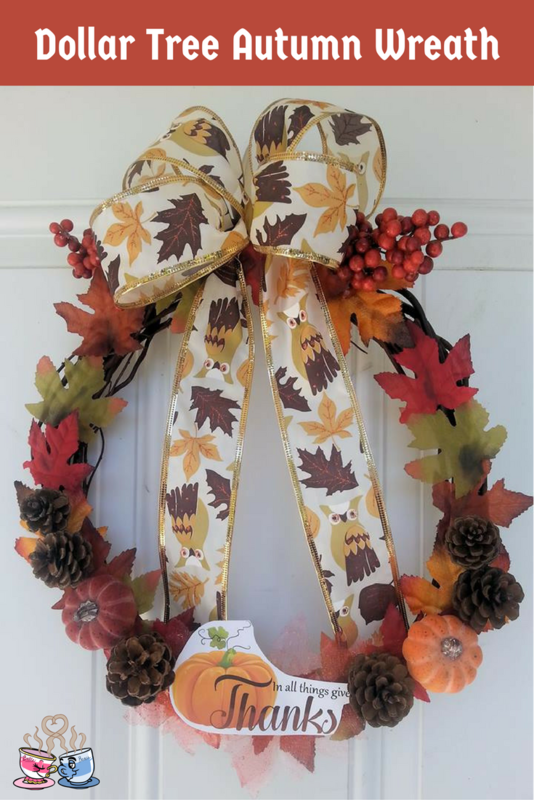 Simply use a different pattern of grossgain ribbon to accent for different seasons or a basic theme that matches your decor. Make these with your kids as a fun craft this week! Looking for other fun crafts to do? Check out our other recent favorites! You guys know I’m not the crafty one around here, but when my friend Katie Fermia shared this with me,I knew I had to post it here! 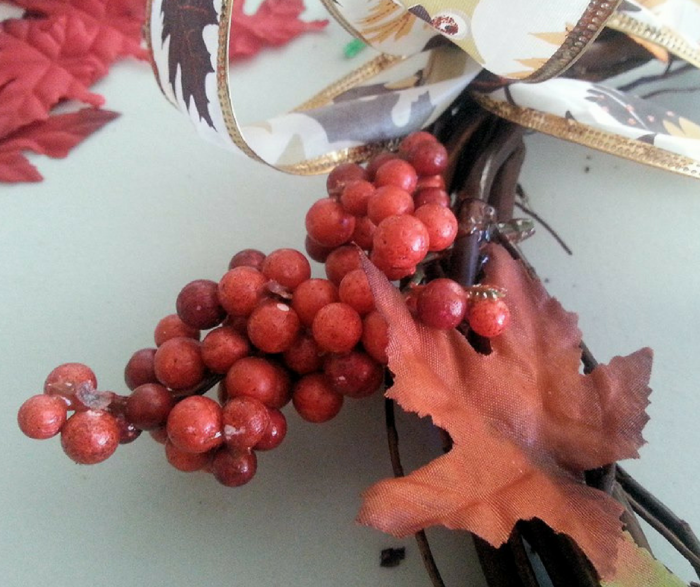 It is time to start decorating your home for the Thanksgiving holiday! 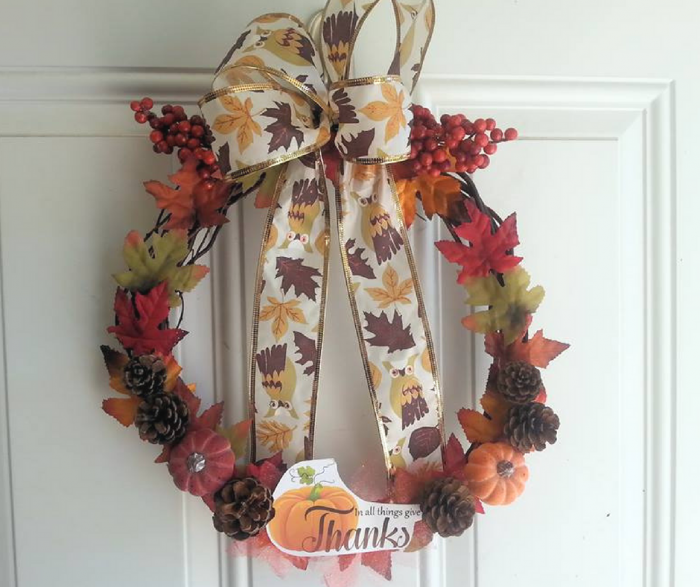 Take a look at how we crafted this Thrifty Turkey Wreath using just a few supplies from our local dollar store. 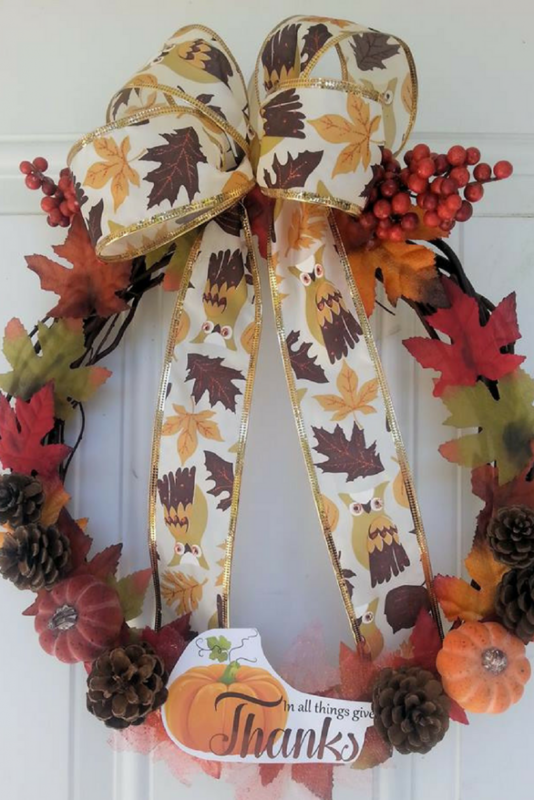 In just minutes you can make your own thrifty turkey wreath, perfect for celebrating the arrival of the season. Here is how to get started! As mentioned, we found everything we needed at our local dollar store. The final cost of our wreath was just a few dollars, making this most thriftiest Thanksgiving craft you can find! 1. Begin by creating the face of the turkey. We simply cut out a triangle from the orange foam and glued it to the bottom of our wreath. 2. Next, add some glue to your large googly eyes. Press them right above the beak. 3. 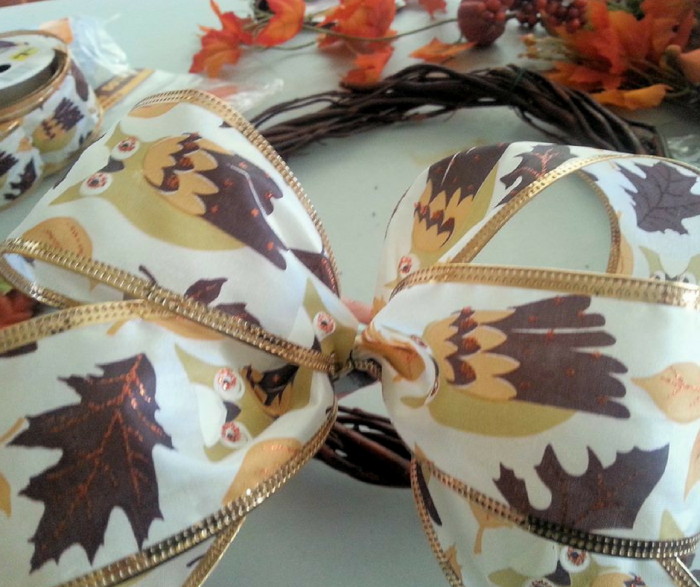 Add some colorful feathers to the top of the wreath. 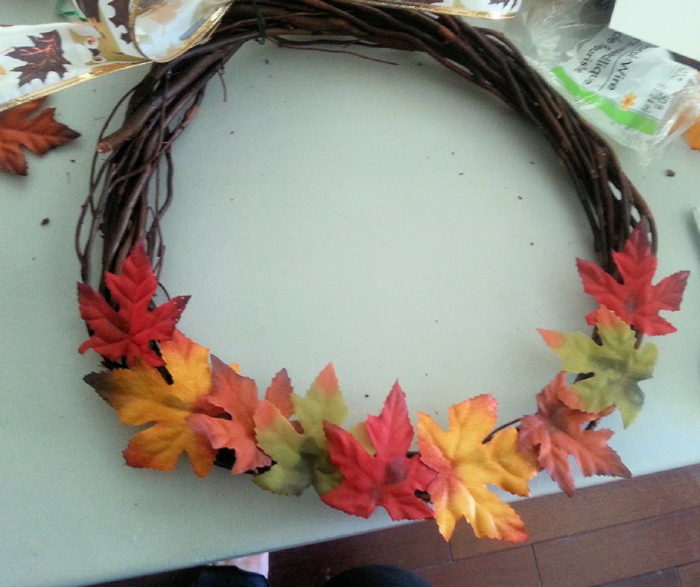 Just add a dab of glue to the bottom of each leaf and tuck it into the top of the wreath. 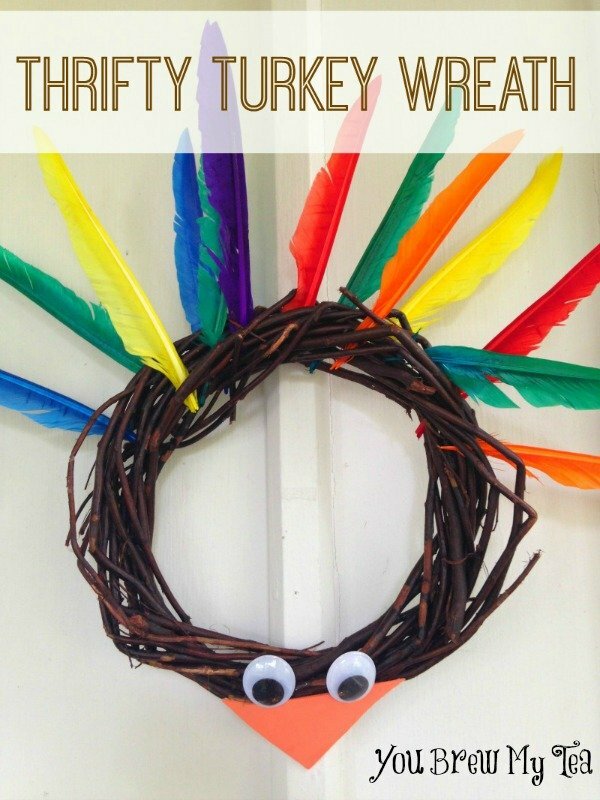 Your thrifty turkey wreath is now ready to be hung. 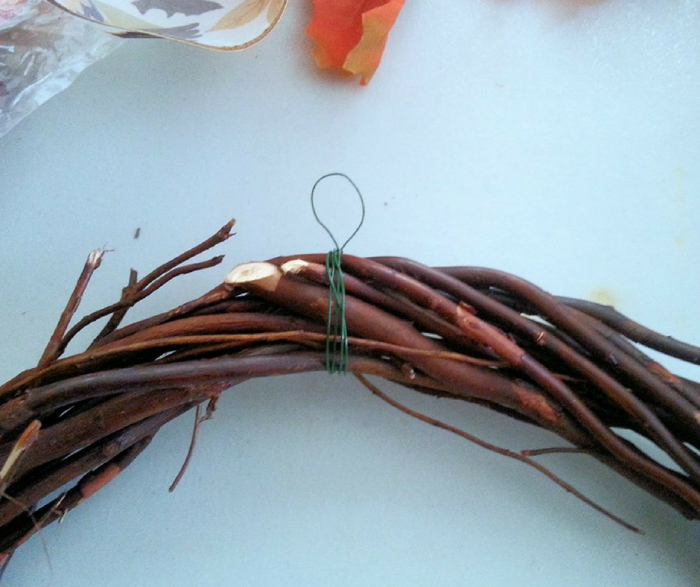 Once the glue is dry, you can place it on a wreath hook, or any hook for that matter. You can even add a length of ribbon if you wish for hanging. Either way, it is lightweight and takes very little strength to display it. Gather your supplies and give this thrifty turkey wreath a try. It is a wonderful (and thrifty!) way to welcome the arrival of the Thanksgiving season! 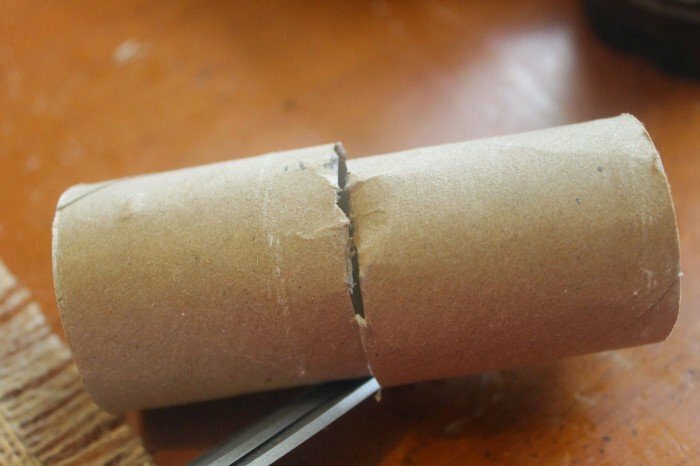 This is also an excellent homeschool craft project! 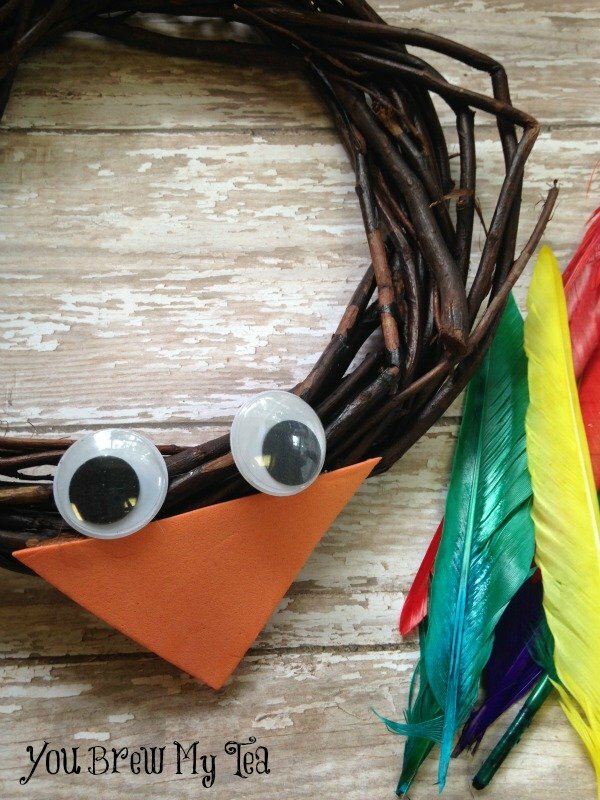 Not only can you incorporate great books about Thanksgiving and Turkeys, you can work on color recognition with the leaves, and fine motor skills with younger kids when assembling! 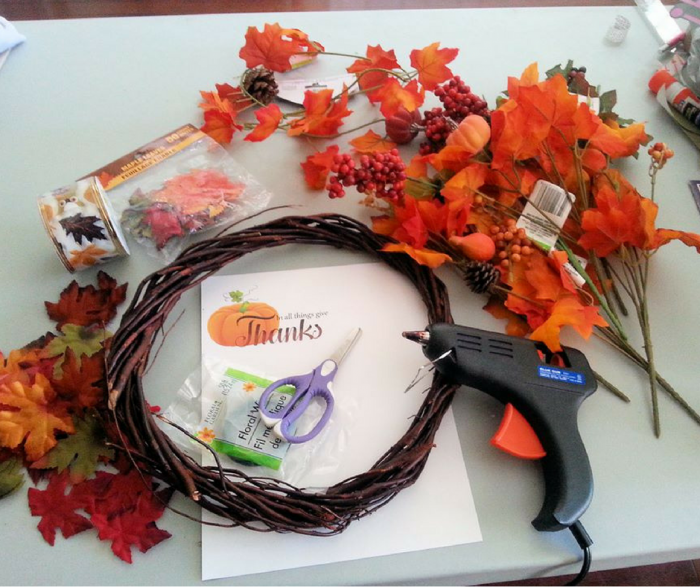 Here are some other great fun Fall Crafts & Homeschool Projects!